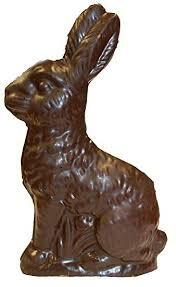 How could my husband and I be so mean as to deny our kids the Easter Bunny? I frowned as I reread the letter to my parents stashed in my old black filing cabinet. The kids are back at school today after their week of Easter vacation. The weather has been so beautiful and spring-like. This is something I couldn’t really understand until I came to the northern hemisphere—the significance of Easter as a spring festival—the death and rebirth of the god that is an important part of almost every religion there has ever been. Here a big thing at Easter is the Easter Bunny, who is alleged to bring baskets of candy eggs and goodies to kids on Sunday morning. This Tony and I just can’t go along with—somewhat to the kids’ disappointment, I think, though we do buy them a fancy Easter egg, and of course we have the fun and mess of dyeing hard-boiled eggs and hiding them in the garden for an egg hunt. I did allow Simon to share our pet rabbit at school one morning. Bun-Bun was less than enthusiastic about the whole project, but the children were ecstatic. Part of the reason for our rejection of the Easter Bunny was that Tony and I grew up in New Zealand, where rabbits were despised as pests. Brought by early settlers to a place with no natural predators, their population quickly reached plague proportions, causing major erosion problems. We did have Easter eggs, but given that we celebrated the festival in the Southern Hemisphere autumn, they had no significance other than as a source of sugar and chocolate. Even living in California, we couldn’t see any connection between rabbits and the Christian celebration of the Resurrection. I decided this week to look into the question. I quickly found myself down a fascinating rabbit hole of customs, beliefs, and theories, many of them contradictory. How the Easter Bunny came to the U.S. seems pretty clear. According to several sources, the creature first arrived in America in the 1700s with German immigrants who settled in Pennsylvania and transported their tradition of an egg-laying hare called “Osterhase” or “Oschter Haws” who brought colored eggs to good children at Easter. As the custom spread across the U.S. the hare somehow transformed itself into the more familiar rabbit and its Easter morning deliveries expanded to include chocolate and other types of candy and gifts. 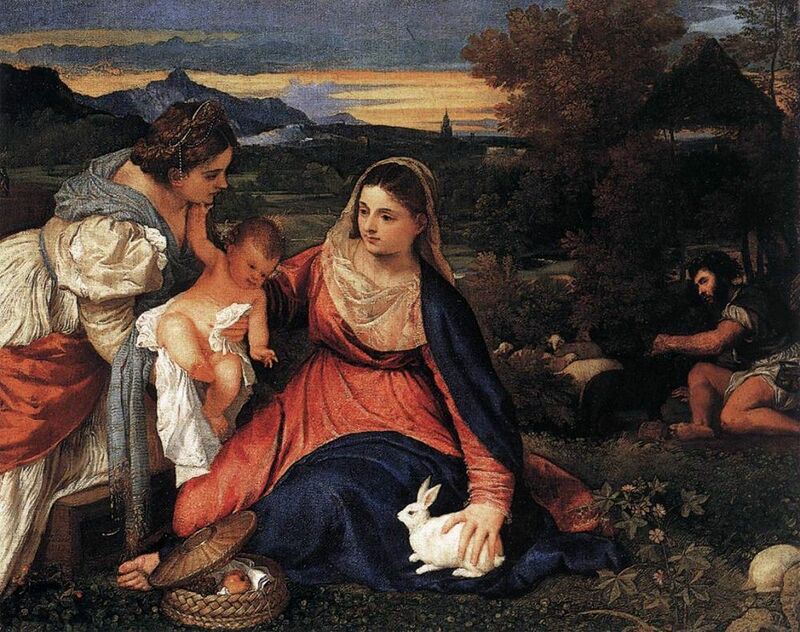 The hare’s (or rabbit’s) connection with Christianity are more complicated. For the first few centuries, the Christian festival coincided with the Jewish Passover, which is when the historical events surrounding Jesus’s death occurred. Though the Christian calendar has since been modified, both festivals are still close to each other in spring. Both are based on a lunar calendar; the date of Easter was defined in 325 CE by the Council of Nicaea as the first Sunday after the first Full Moon occurring on or after the vernal equinox. In Anglo-Saxon regions of Northern Europe, the Christian festival seems to have merged with a pre-existing equinox festival honoring Eostre, the goddess of spring, and Christians continued to use the name of the goddess to designate the season. Since hares and rabbits give birth to large litters in early spring, they have long been recognized as symbols of the rising fertility of the earth at the vernal equinox. Titian: “The Madonna of the Rabbit” 1530, now in the Louvre, Paris. No, no, no, say some Catholic writers. The Easter Bunny has Christian origins. The ancient Greek philosopher Aristotle observed that the hare could conceive again while pregnant, thus shortening the time between litters and delivering more offspring during a breeding season. 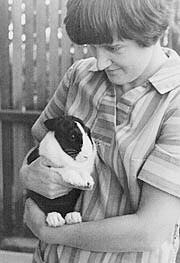 Later Greek writers such as Pliny and Plutarch expounded the notion that hares (and rabbits, by association) were hermaphrodite, and thus could self-impregnate and reproduce as virgins. During the medieval period, hares and rabbits began appearing in illuminated manuscripts and paintings depicting the Virgin Mary, serving as an allegorical illustration of her virginity. 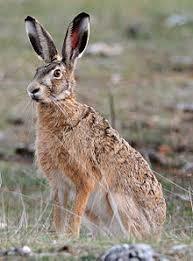 European brown hare. Image from Wikipedia. My head is spinning. I think I need chocolate.